Do you remember that movie “My Big Fat Greek Wedding” and the father who used Windex to fix everything from a scratch to the rash on your arm? Our family’s not Greek, but garlic is our Windex. Anytime anyone comes down with something in the sniffly cold or flu department we eat extra garlic. During the winter months and when others are sick all around us we ask “Have you had any garlic?” We’ve even been known to try to sit further away from a crowd the day after a big garlic binge in order to spare them the inevitable garlic-seeping-from-your-pores business. I think it started when I was in high school and I saw my Dad cure a case of athlete’s foot by putting garlic between his toes. Then I read about all of the wonderful attributes of garlic – how it’s a natural antibiotic and anti-viral and how its compound allicin is so powerful. Now we plant our own garlic – 150 or so just the other day. In winter I take home canned tomatoes and add tons of raw garlic and onions – a winter pantry staple. Drizzled with some olive oil, I serve this with anything – Mexican food or otherwise – and it’s a big hit at our dinner table. I almost always add minced raw garlic to salad dressings. Our favorite is a homemade ranch made with kefir, garlic, lemon juice, and parsley. Garlic is also great in a homemade vinaigrette. Raw garlic has that spicy bite that some find hard to get down. When you lacto-ferment the garlic in a salt brine the cloves are mellowed and beneficial enzymes and bacteria are added – a win-win! Garlic, butter, and toast are best friends. You can toast up a slice of bread, butter it generously, and sprinkle raw minced garlic on top as a super garlic toast. 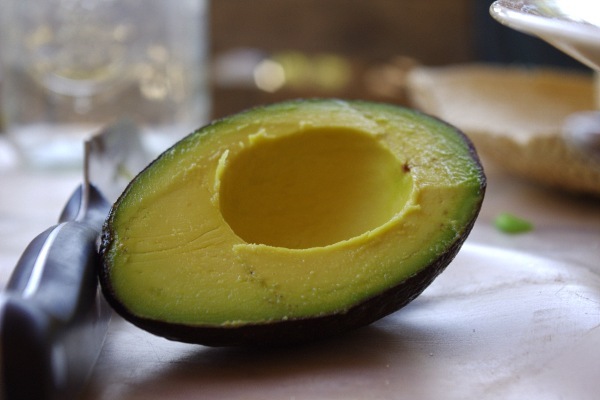 The fat in avocados seems to cry out for a sharp contrast in the form of spicy peppers or pungent garlic. So be generous and throw a few cloves into your guacamole. We love the flavor of garlic as well as the health properties. So if I made a tomato sauce to go with some homemade noodles I add a handful of cloves to the sauce as it cooks. Then, once it is dished up and has had a chance to cool for a minute, I add some more minced garlic to our plates and stir it in for extra flavor and nutrition. Again, garlic + butter + potatoes is just delicious. Make up your potatoes with butter and milk and plop them on your plates. Once cooled for a few minutes you can add some minced garlic to spice them up. For the uninitiated this sounds crazy and gross. But having grown up on honey and lemon tea for any sore throat, I can tell you the addition of the garlic in this recipe is strangely delicious and really good for you as well. The whole reason for the above list is to somehow sneak in the spicy pungency of garlic. Well, how about embracing it alongside some peppers for a killer hot sauce. Just throw some peppers, seeded for a more mild sauce, garlic, olive oil, and salt into a blender with a bit of vinegar. Once blended it will be awesome with beans, tacos, quesadillas, chips, enchiladas, or pretty much anything else you’re eating. My husband can eat just about anything it seems and straight up garlic is no exception. If you are brave like him you can chew a whole clove and swallow, followed by some milk or water. Or you can mask the flavor by covering your garlic with some raw honey and then throwing it down the hatch. Anyone else use garlic as food and medicine? This is what I do after eating organic raw garlic ….. I take two cardamom seeds and chew until I can’t chew them any more …..
Trust me it works however it’s up to each individual. I love garlic and can never eat enough. Since I started over a year ago I have had no colds or flu. I eat it raw all the time and don’t care if people don’t like the smell. Every time I start to get sick I gently chew a garlic and try not to let my tongue touch it and just swallow it and drink milk. I know if I waited 15 minutes it’s suppose to be better but it seems to do a great job if I just swallow it immediately. I haven’t really suffered any serious illnesses since I discovered garlic a few years ago. And nothing lasts more than a few days anymore either. Garlic extract pills seems powerless to me though. I take 4-5 cloves and chop em up. Then wait 15 minutes for the enzyme activity (magic) to happen. To keep things simple, I scoop up the garlic onto a spoon… put it in my mouth and swallow it down with a glass of water. Simple, no chewing, no garlic breath, just take it like you were swallowing pills. No muss no fuss.